The Upper Yoder Township Authority was formed under the terms of the Municipality Authorities Act of 1945, May 2, P.L. 382 as amended 53 P.S. 301 Et seq. The original Articles of Incorporation and a Certificate of Incorporation was issued by the Department of State in the office of the Secretary of the Commonwealth on June 21, 1955. The Authority is managed by a five member board appointed by the Upper Yoder Township Supervisors for a term of five years. The terms are staggered so that at no time is the Authority served with an inexperienced board. The Board meets once a month at the Township Municipal Building, 110 Sunray Dr., Suite 1, Johnstown, PA 15905 to conduct the managing of the sanitary sewer system and the two sewage pump stations. Meetings are open to the public and any resident is encouraged to attend to address their concerns directly to the board members. In the early 1950’s through the latter part of the 1960’s, the original sanitary sewer system was constructed in three project phases throughout Upper Yoder Township. Many sections of old lines and manholes are now deteriorated and the Department of Environmental Protection has mandated communities throughout the State of Pennsylvania to remedy inflow and infiltration problems that plague their systems. Over the past 18 years, the Sewer Authority has invested approximately 2 million dollars to rehabilitate areas of the system and is currently embarking on another major rehabilitation project that will cost in the neighborhood of 1 million dollars. Over 7 miles of lines were recently televised to identify problems and determine the best method of repair. This project is planned to launch in 2007. The expense of the reconstruction projects is funded through user revenues and low interest government loans secured through the Pennsylvania Infrastructure Investment Authority. The Sewer Authority Board continues their ongoing commitment to maintain and manage the sanitary system and is dedicated to improving the needs of our community while striving to protect the environment. The Upper Yoder Township Supervisors adopted Ordinance No. 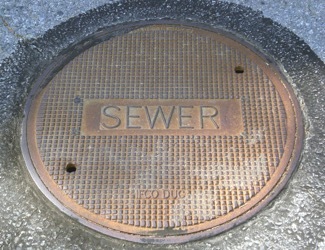 265 which establishes requirements for the inspection and Certification of Sanitary Sewers at the time of sale, transfer, assignment, mortgage, of any real property located within the Township of Upper Yoder or the Upper Yoder Township Authority Sanitary Sewer Collection System, provides conditions for the issuance of Municipal Lien Letters and establishing fees and procedures for the issuance of such certificates and lien letters and providing penalties for the failure to comply with said procedures. The fee for requesting a Municipal Lien Letter to see if a Certificate of Compliance was issued for the sanitary sewer lines for a particular property is $10.00 (check made payable to the Upper Yoder Township Authority) and a Municipal Lien Letter request from the Township to verify all municipal charges are paid is $10.00 (check made payable to Upper Yoder Township Supervisors.) A complete copy of the Ordinance and application for a Certificate of Compliance is listed below. The Upper Yoder Township Authority is continuing to work on meeting the unfunded statewide DEP mandates for upgrading our sewage collection system. The purpose of the mandate is to eliminate inflow and infiltration that ultimately overloads the City Sewage Treatment plant as well as the negative impact it has on the environment. The first phase of this mandate has been completed. The Sewer Authority performed a very extensive inspection of the entire system. Every commercial and residential building was visually inspected to assure that downspouts were not visibly connected to the sanitary sewers. If so, dye tests were performed and if an illegal connection was discovered, the owner was notified and had to comply with removing the violation. Flow monitoring devices have been strategically installed by the Johnstown Redevelopment Authority (JRA) at every intermunicipal connection site to identify the impact of inflow & infiltration from one municipality to another that ultimately flows to the City Treatment Plant. The Authority received a Pennvest Grant in the amount of $668,385 and a loan at 1% for 329 months in the amount of $9,216,035 to rehabilitate over 17 miles of sewer mains, 504 manholes and to repair/replace 1,323 laterals at the public rights-of-way at the customer property line and will include the installation of viewports. Closing for this financing will be scheduled for April 30, 2015. Construction will commence thereafter. The project work is anticipated to be minimally invasive with the majority of the work to be done without the public rights-of-way at or near the property lines. Damage to yards and roads will be restored by the contractor. All Upper Yoder Township customers that connect to the sanitary sewer system will be required to have their sewer laterals tested and/or repaired in order to ensure all extraneous ground or surface water does not enter the system. Any violation found will have to be corrected at the expense of the homeowner. Continued violation can result in fines, costs and discontinuance of water service and will also affect the marketability of the property. Upon successful testing, a Certificate of Compliance will be issued that will be in effect for 15 years. The following documents have been approved by the Upper Yoder Twp. Authority Board as of March 16, 2015. These documents explain the regulations and conditions for testing of the buildings that connect their sanitary sewer services to Upper Yoder's system. The documents are available for viewing and downloading under "LIBRARY OF DOCUMENTS" Under "FORMS AND APPLICATIONS"
Upper Yoder Township Ordinance No. 8, adopted Oct. 4, 1956, authorized the conveyance of the Township-owned sewer system to the Upper Yoder Township Authority and directing the proper officers of the Township to make conveyance. Upper Yoder Township Ordinance No. 9 adopted Oct. 4, 1956 requires owners of property accessible to the Upper Yoder Township Authority sewer system to make connection therewith and to abandon the use of septic tanks and similar receptacles. All unmetered customers charged same minimum rate as the metered customers of the same area. Late Charges are 5% on any balance due. Taps – Revised by formal motion during the June 20, 2005, Upper Yoder Township Authority regularly scheduled monthly meeting. An inspection fee of $50.00 will be charged on all taps that are made into private lines that eventually go into the Upper Yoder sewers. Inspection fees must be paid before building permits are issued. All work must be inspected by the Authority before same is covered over.